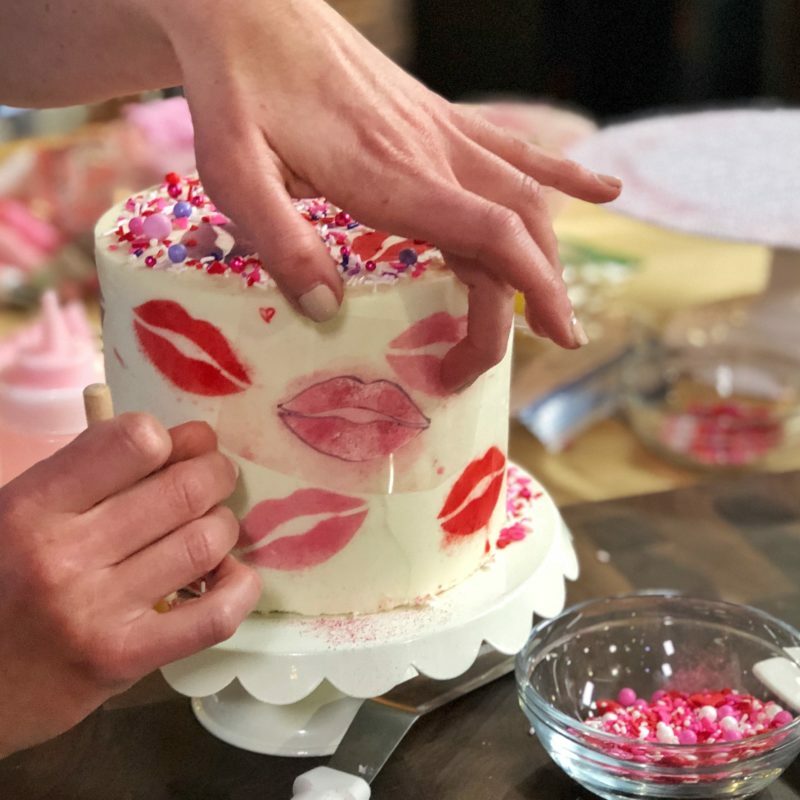 With Valentine’s Day just a day away, I’ve got all your cake decorating ideas taken care of with these seven easy Valentine’s Cakes. 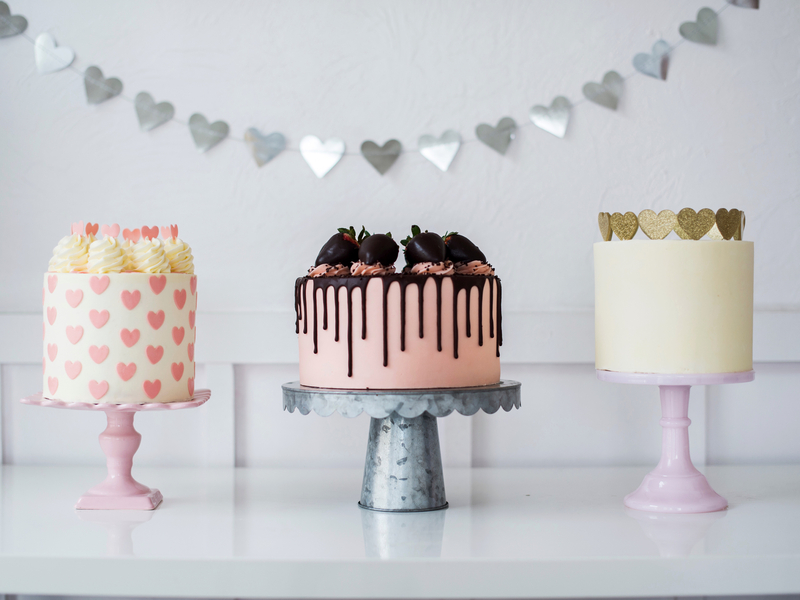 My Strawberry Dark Chocolate Truffle Cake is the perfect Valentine’s cake, both from the inside and outside. Biting into this decadent dessert is like eating a strawberry truffle from Sees Candy. 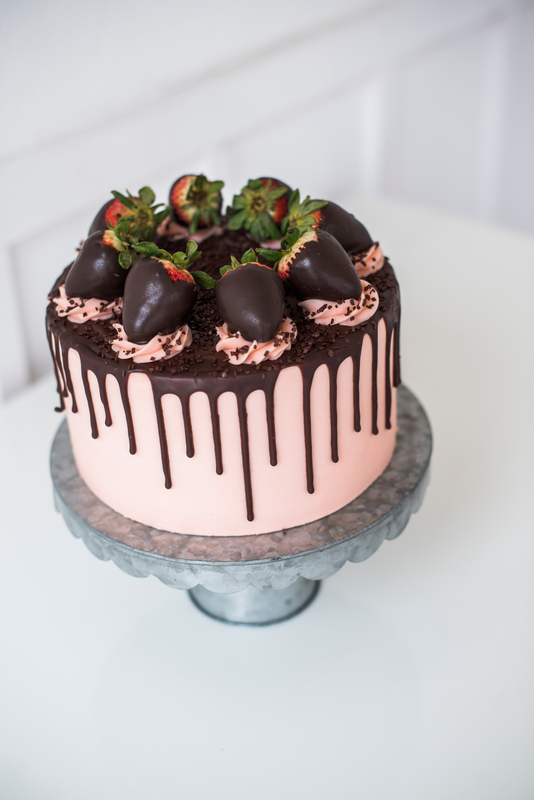 It’s covered in strawberry buttercream and chocolate ganache, giving it the look of one of Valentine’s classic treats. This might be my favorite cake of the holiday. I was toying around with the idea of trying my hand at fondant or gum paste, but then had a light bulb moment and thought of Bubble Tape Bubble Gum! It’s already pink and nearly the perfect width for a mini heart cookie cutter. I rolled out the gum just a little bit with my rolling pin and easily cut out these little hearts with a cookie cutter from Hobby Lobby. 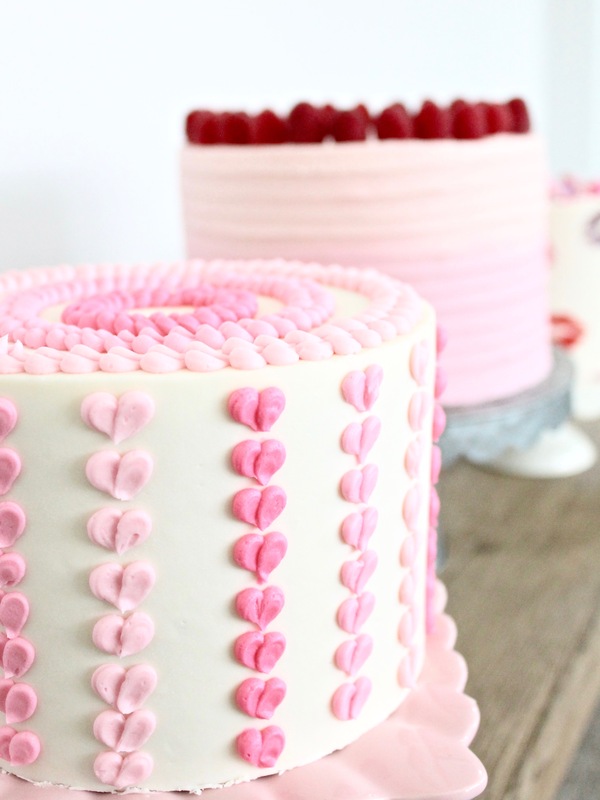 You’ll then want to add the hearts to the cake while the frosting is chilled but not frozen. They’ll stick on perfectly! 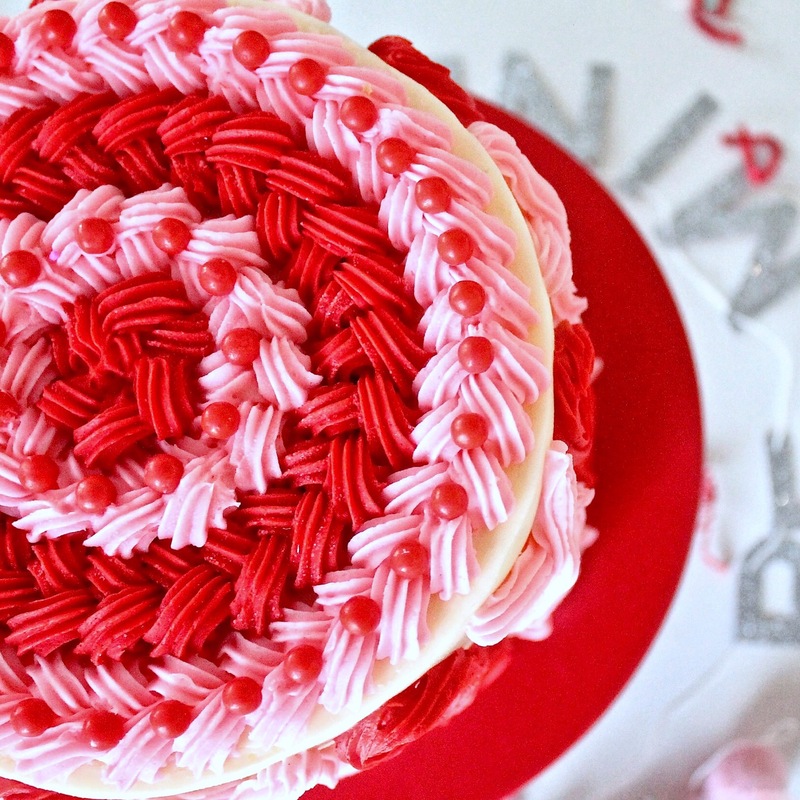 I also used the Wilton 1M tip for the dollops on top of the cake. If you’re like me, you love the look of simplicity. For this cake, I decided to keep it as simple as possible. 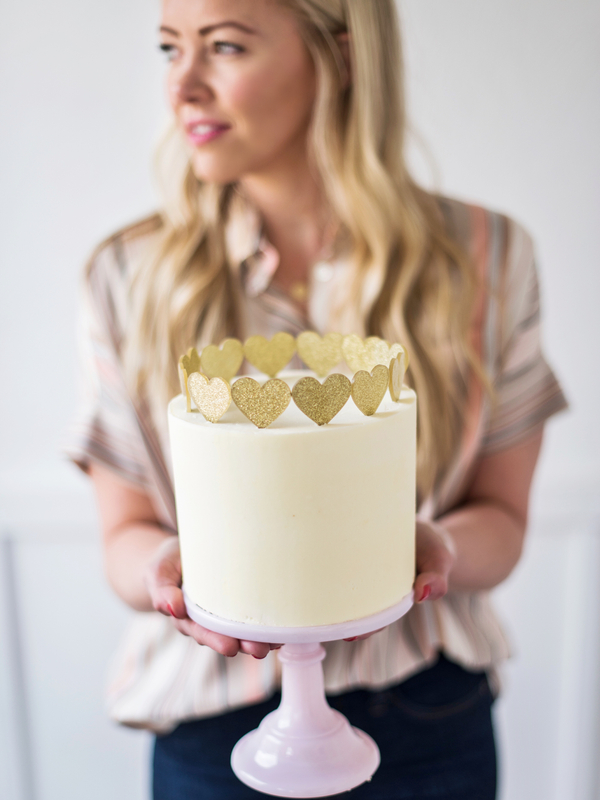 I went with a vanilla buttercream and topped it with gold hearts from My Mind’s Eye. The soft pink cake stand is from Orson Gygi. 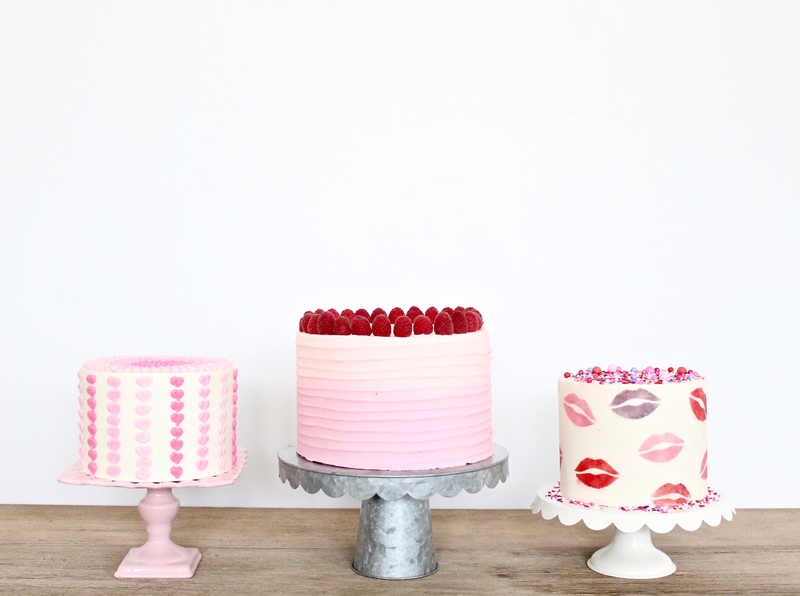 My next set of cakes include my new Pink Velvet Cake with Raspberry Buttercream. 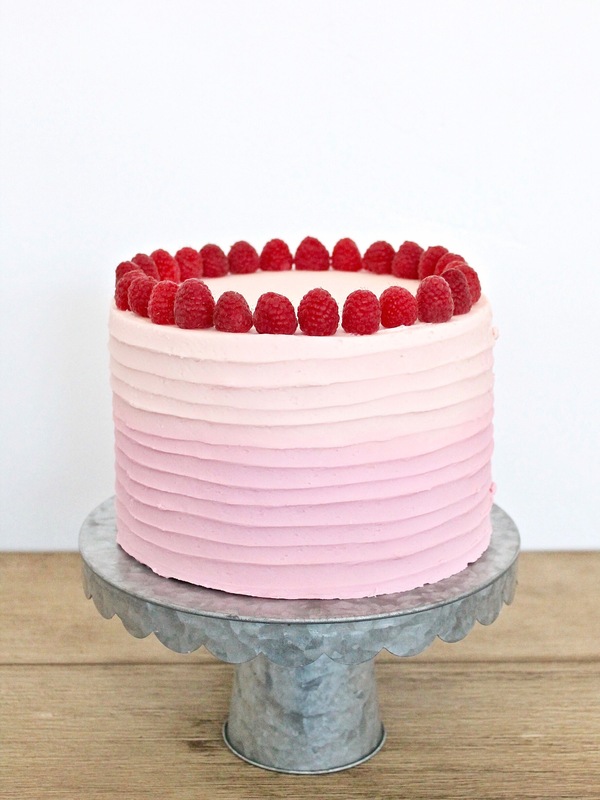 This cake is made up of tender pink velvet (vanilla based) cake layers and is filled with raspberry buttercream and fresh raspberries. This ombre look is one of my go-to designs because it’s simple and hides imperfections. Click HERE to check out one of my video tutorials over on YouTube on how to create this look. 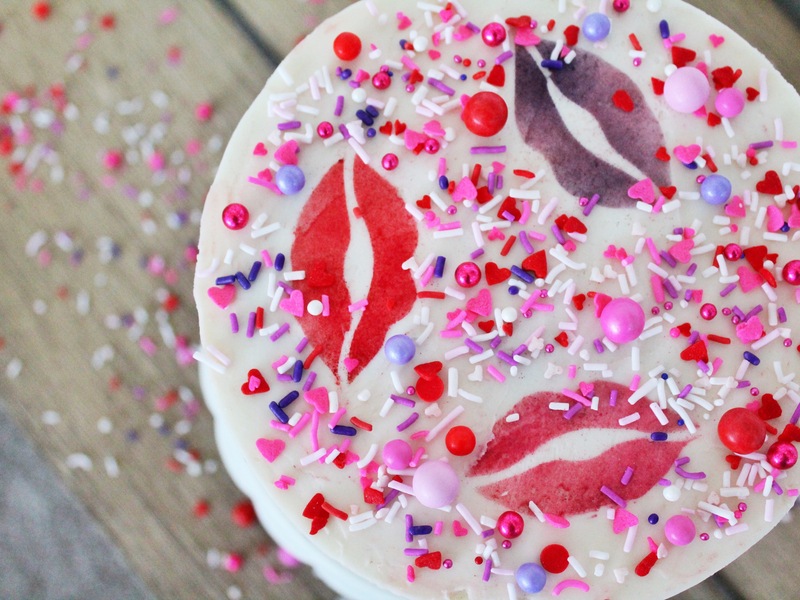 This next look is achieved by using a small round piping tip and three colors of buttercream. 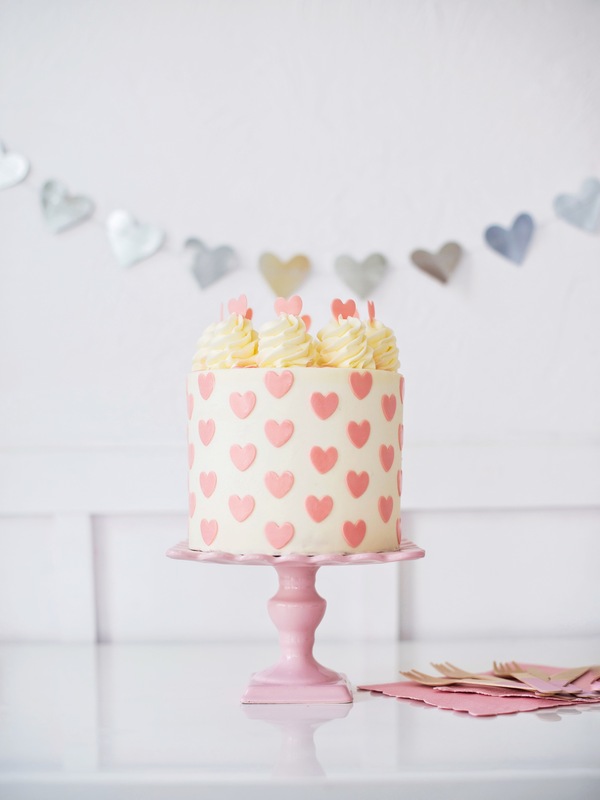 Second to the bubble gum hearts, this next cake is another favorite for Valentine’s Day. 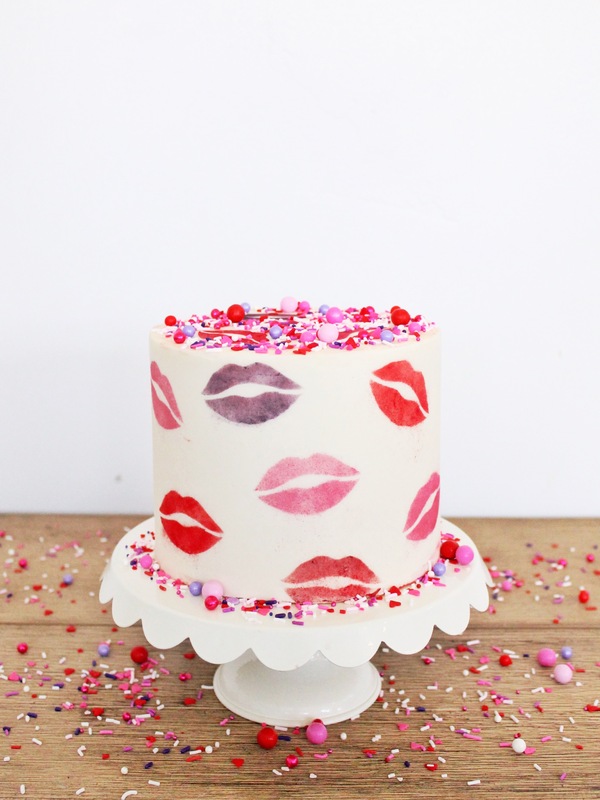 I made my own stencil of lips on acetate paper, and then used edible luster dust to stencil the lips onto the cake. 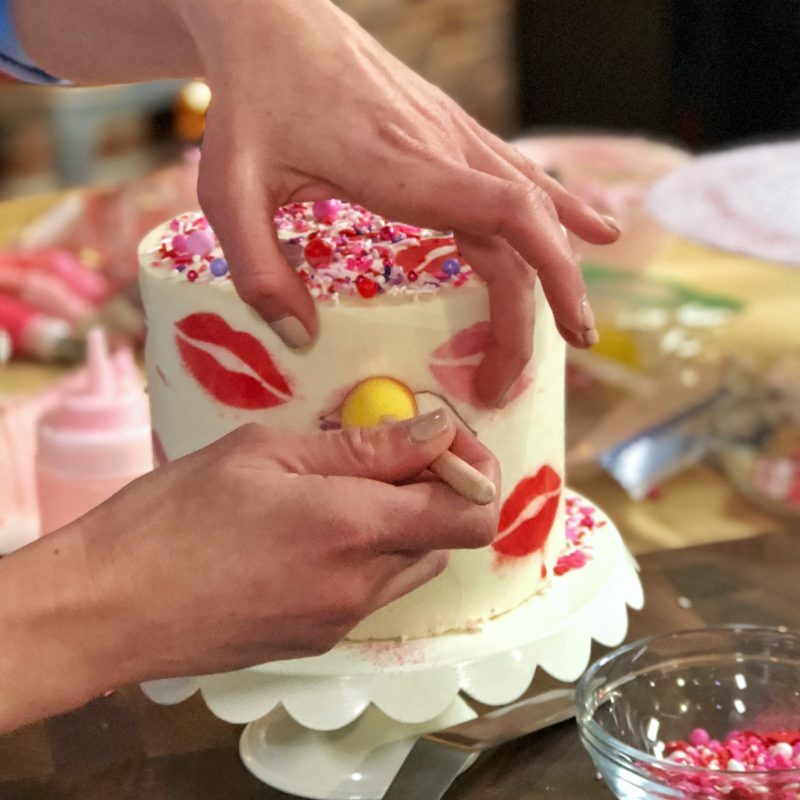 The key to making this work and not ruining the buttercream is to stencil on a frozen cake. You also don’t need a lot of the dust. A little goes a long way. Last, but not least, is my XOXO cake. 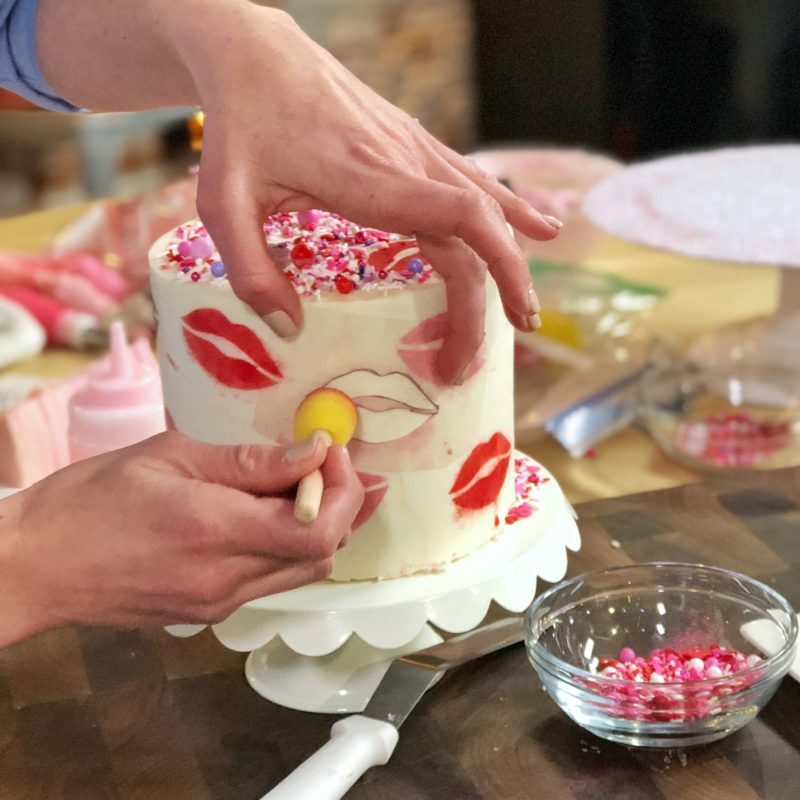 I used red and pink buttercream with the Wilton #32 tip to pipe on the XOXO on the sides of the cake and the braid on top. Your website is a gem ! Thanks for motivating me ! 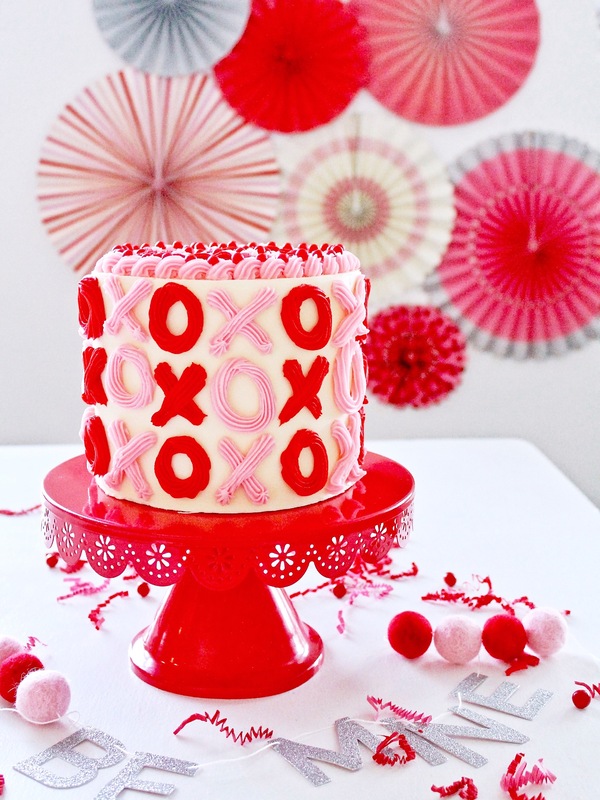 do you have a recipe for the XOXO cake up?